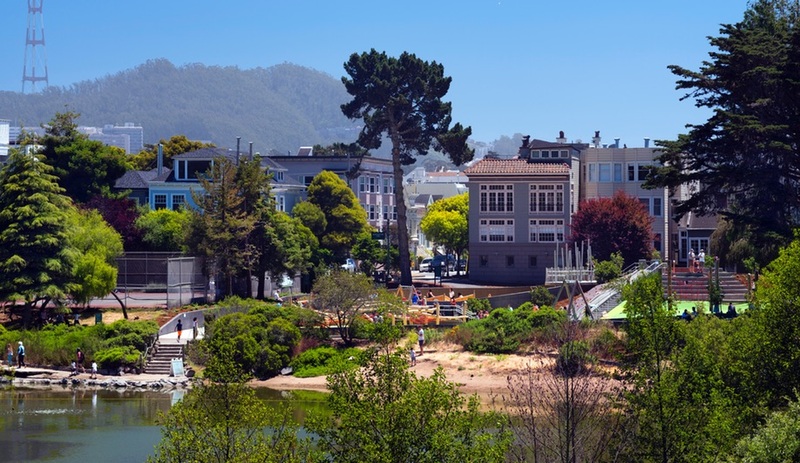 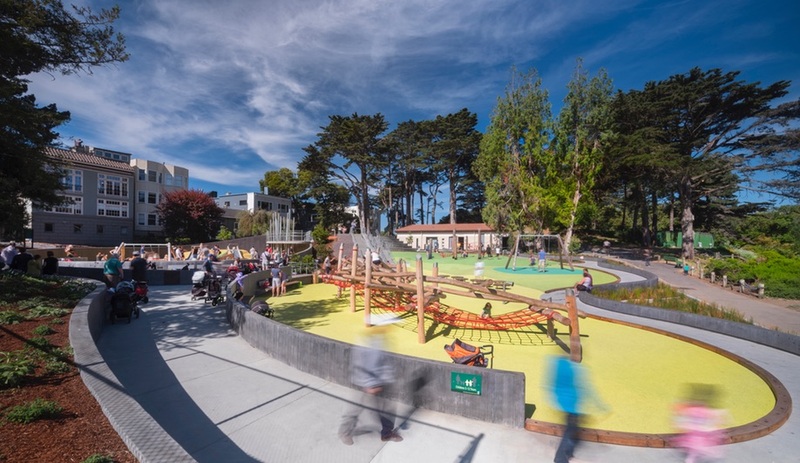 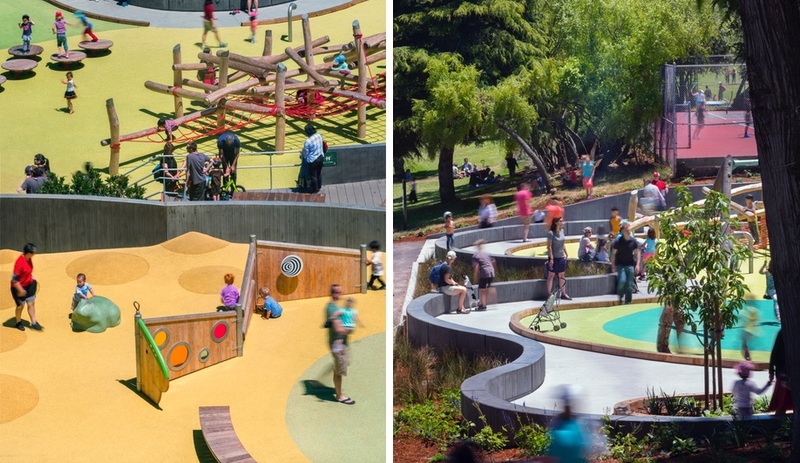 An outdated and deteriorating recreation area in San Francisco’s Presidio National Park is now a dynamic and accessible playscape, thanks to a group of community advocates and architects Bohlin Cywinski Jackson. 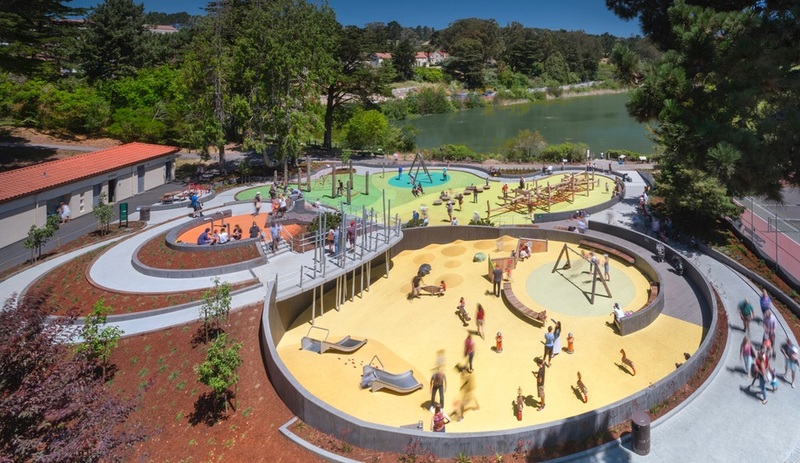 Residents, local businesses and city government all teamed up to revitalize the 30-year-old Mountain Lake Park Playground, at the edge of one of the city’s last natural lakes. 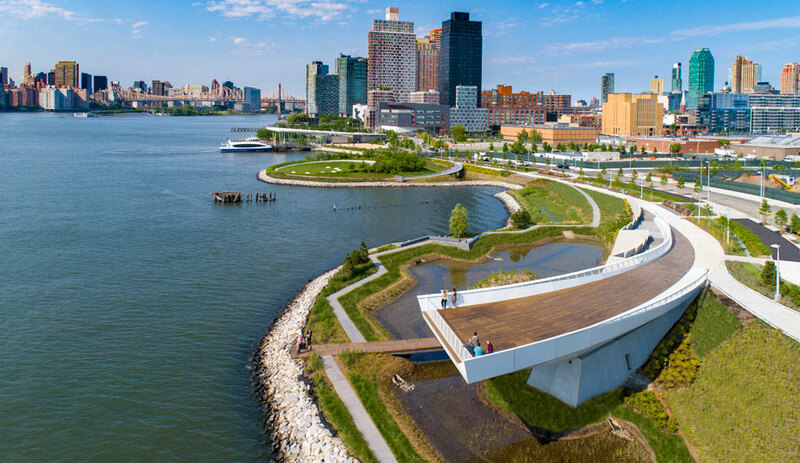 The local office of Bohlin Cywinski Jackson joined the collaborative effort, working pro bono to develop a design strategy that draws on the site’s ecology. 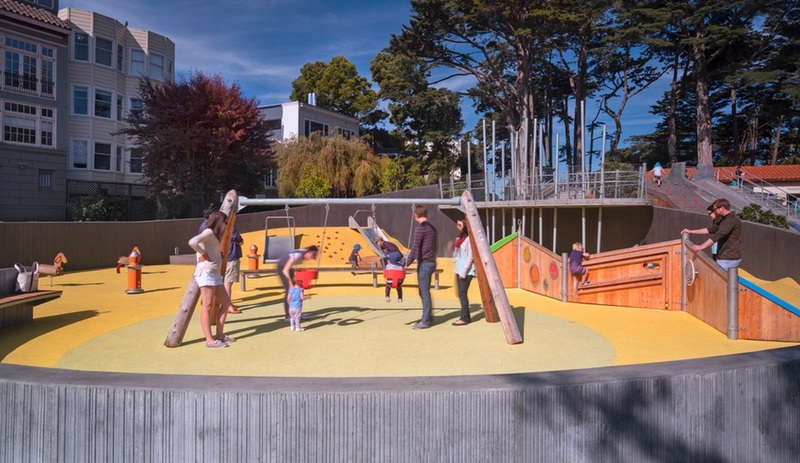 For example, the space for pre-school children features smaller slides, swings and sensory walls while the area closest to the lake is designed for older children, with elaborate rope and plank climbing structures and springboard balancing platforms. 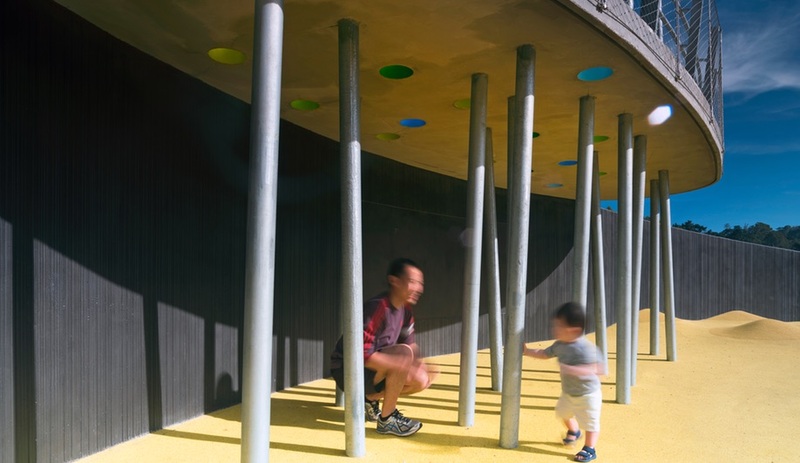 Adults are considered too, with ample seating built into the curvaceous concrete partition walls. 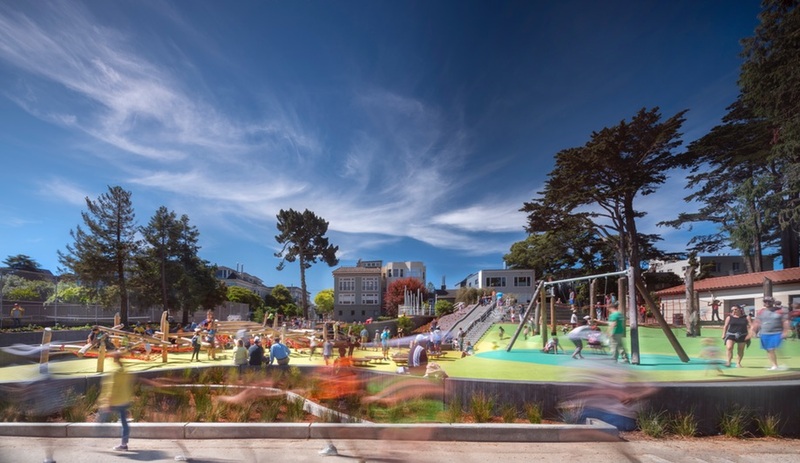 Small niches, including more seating and tables for eating, are inserted just beyond the playground area. 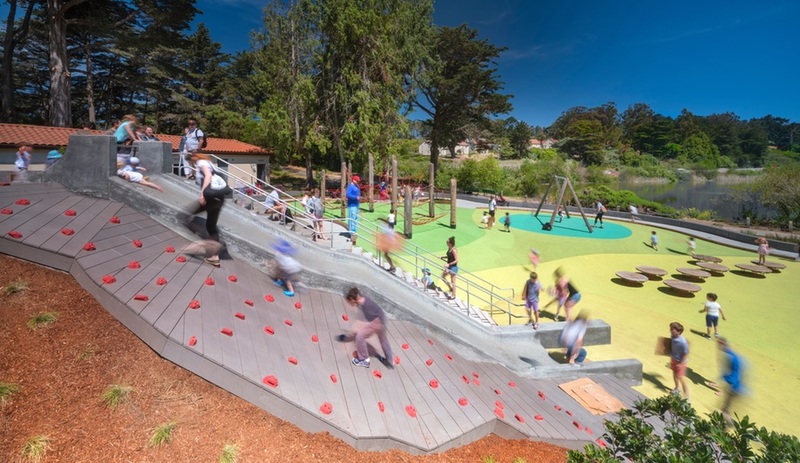 A beloved concrete slide that was salvaged from the old facility is now flanked by a new staircase on one side, and a scrambling wall with rock climbing holds on the other. 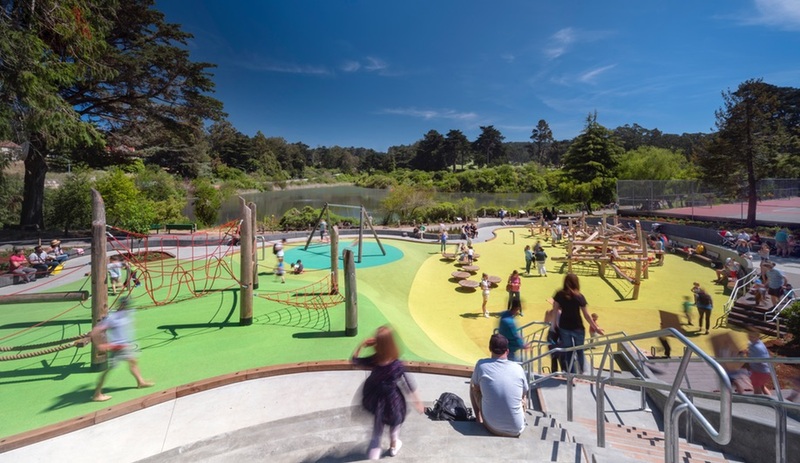 Adjacent to the slide, at the playground’s summit, is an observation platform oriented towards the lake and held up by a small forest of steel columns – echoing the mature redwood and cedar trees that surround the park. 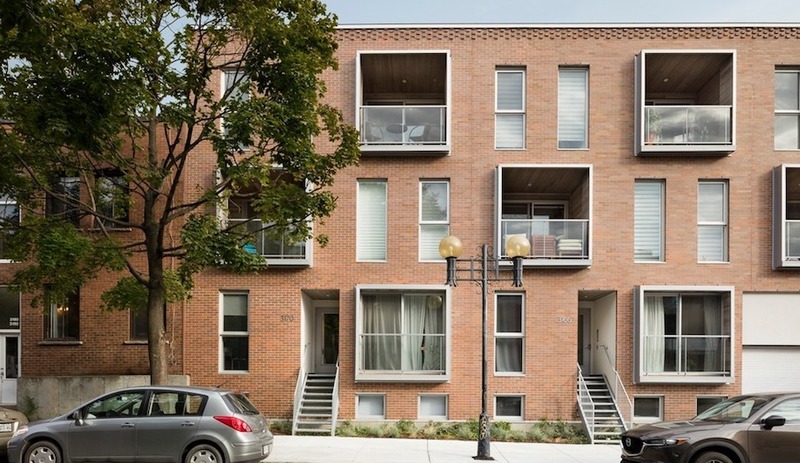 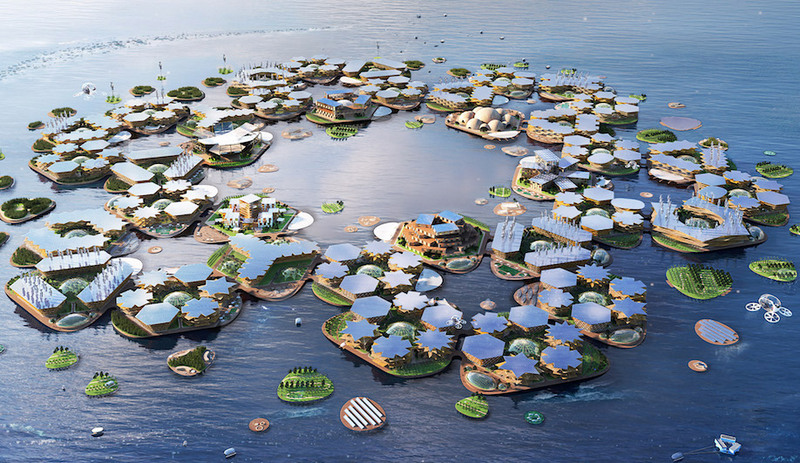 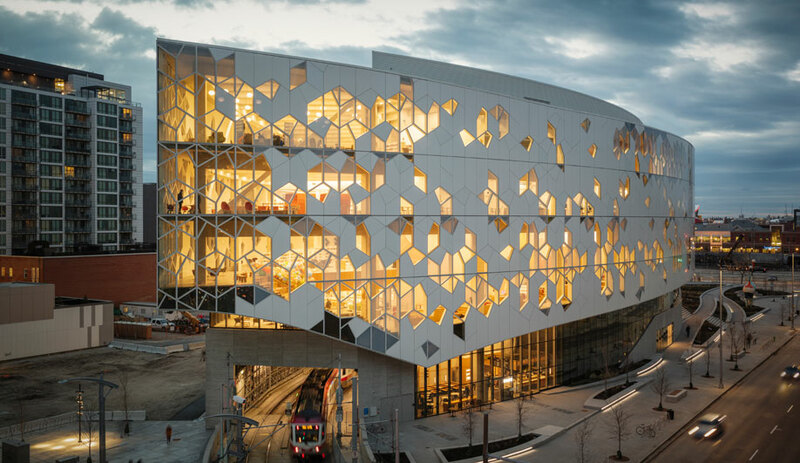 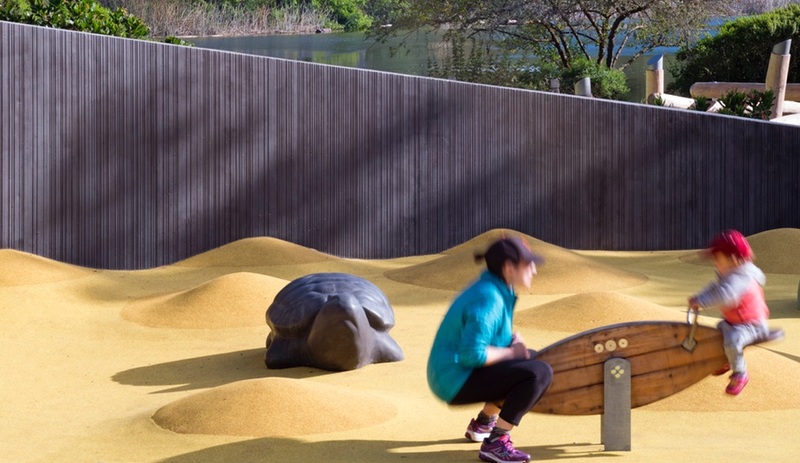 Other nature-inspired design elements include hilly mounds recalling the sand dunes historically typical of the area, concrete partition walls embossed with vertical lines that evoke marshland reeds, and sculptures of native wildlife like turtles and frogs.